UPDATED: Thu., Aug. 16, 2018, 6:23 p.m. 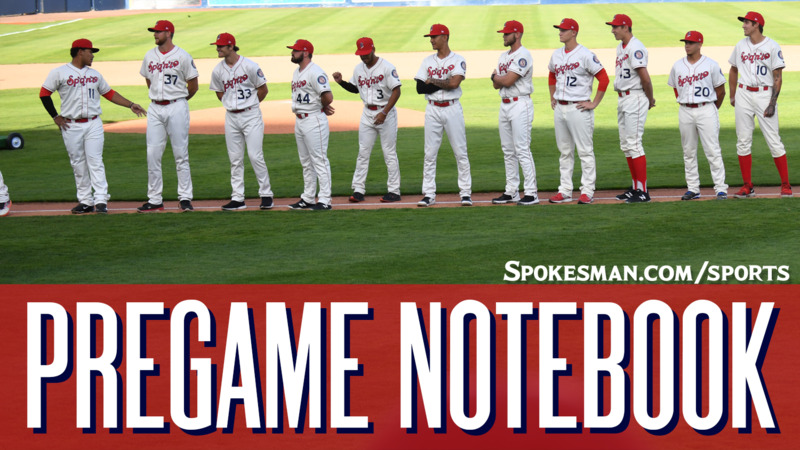 The Spokane Indians (11-9) host the Everett AquaSox (10-10) in the second of a three-game Northwest League series at Avista Stadium at 6:30 p.m. The Indians send RHP Ryan Dease (4-3, 5.84) against the AquaSox. Dease comes off his fourth win of the season. The righty, a 2017 fourth-round pick, tossed five innings against Boise and allowed three earned runs, Dease is 3-0 at home this season. Player to watch: Jonah McReynolds is hitting .252 this season, but that jumps to .302 when hitting against lefties. In five games against Everett, McReynolds is hitting .350 and has scored three runs in his last five games..
Last night: Ryne Ogren launched a full-count fastball into the screen above the left-field wall in the eighth inning and the Everett AquaSox edged the Spokane Indians 4-3 in the second of a three-game Northwest League series at Avista Stadium on Wednesday. Ogren’s homer came off reliever Austin Pettibone, who otherwise retired every other batter he faced over two innings. The Indians (11-9) fell behind division-leading Vancouver (13-7) by two games. Seth Nordlin added five strikeouts to his league-leading total and allowed three runs on seven hits and a walk over five innings and left the game tied at 3. Promotion: Super Hero Night & Lawton Team Photo Giveaway. It’s a bird…it’s a plane…it’s all your favorite superheroes at Avista Stadium! Fans are encouraged to dress up as their favorite superhero. All fans in attendance will receive a 2018 Spokane Indians Team Photo. Stick around after the game to participate in the Taco Ball Toss benefiting the Boys & Girls Club of Spokane and Kootenai County. Weather: Game time – Smoky, 94; Final out – Smoky, 77. Published: Aug. 16, 2018, 6:06 p.m. Updated: Aug. 16, 2018, 6:23 p.m.